"This tastes exactly like a white peach!" Peel white peaches, leaving a little bit of peach skin to add texture and color. Cut chunks from peaches into a bowl and discard pits. Add lemon juice. Puree peaches and lemon juice with an immersion blender until smooth. Stir in sugar to taste. Blend again. 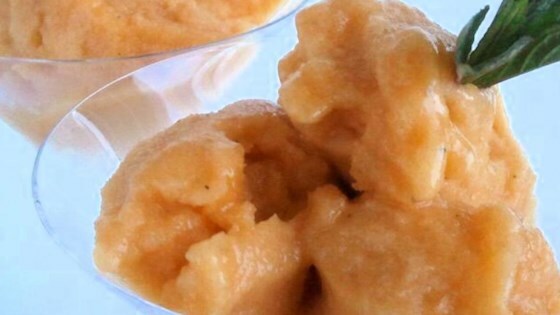 Chill peach mixture in refrigerator for 1 hour. Pour peach mixture into an ice cream freezer and freeze according to manufacturer's instructions. This works really great with pluots, nectarines, and yellow peaches also. Ripe fruit is key.